"A Map of the Soul" belongs to a series called: "A Timelord and his madman", from which the first installment was posted in January 2010, directly after the final episode of the 10th Doctor. It is a sort of alternative season 5, in which the 10th Doctor has fortunately survived the events of "The End of time". Wandering alone through space and time in search of the Master (Simm Master), he finally succeeded to save the Master from the Timelock in the first story of the series called "His Silent Mind". Other installments include (In the right order): "Judoon Justice", "A Murderous Feast", "Shattered Worlds", "Before Harry met Lucy", "The Most Happy Bride", and "This Reflection of Me". 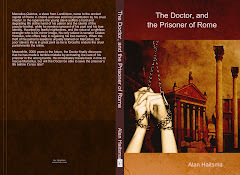 If you're interested in the rest of the series and don't want to miss out on the Doctor's and the Master's previous adventures, hit the author button on fanfictionnet HERE or visit my website HERE. In the previous story "This Reflection of Me", the Doctor and the Master have been traveling together as equal companions and friends for the last twenty years. They have recently picked up Donna while they are following the trail of the newly resurrected Rassilon, who has merged his essence with the Tudor queen Anne Boleyn and is using her as a corporal vessel to sustain his existence. The Doctor and his companions end up on Saltsea, a planet where the dominant race of people are once created by the Timelords to guard a terrible secret that lies hidden in the heart of an ancient tomb. We learn that during the great Timewar, the Master, resurrected as the Nightmare Child, was sent out by the desperate Timelord council to defeat the guardians of the tomb and to collect the hidden powers that lay dormant there. After finding out that the treasure he was looking for was actually the essence of Omega, one of the Timelord's founding fathers, the Master quickly decided to claim the prize for himself. His greed and arrogance ultimately led him to his demise, for Omega's lifeforce was too powerful to be contained within the Master's mortal body. In the end, the Master was forced to regenerate and to sacrifice his own Tardis to save his life. His mission a failure and marked by the Timelords as a traitor, the Nightmare Child disappeared from the pages of history. Now many years later, the Master, who has lost the haunting sound of the drums inside his head, but is becoming increasingly unstable due to the burden of his reawakened conscience, tries once again to gain access to the tomb. The torture he had once suffered by Rassilon's hand has inadvertently made him immortal, so he could now absorb Omega's essence and turn himself into an invincible force to fight Rassilon. However, the transformation was violently interrupted, and the Master died, only to regenerate into one of his previous incarnations, the Nightmare Child (Cumberbatch Master). Before the Doctor or Donna could lay eyes on his new regeneration, the Master escaped in his rediscovered Tardis. 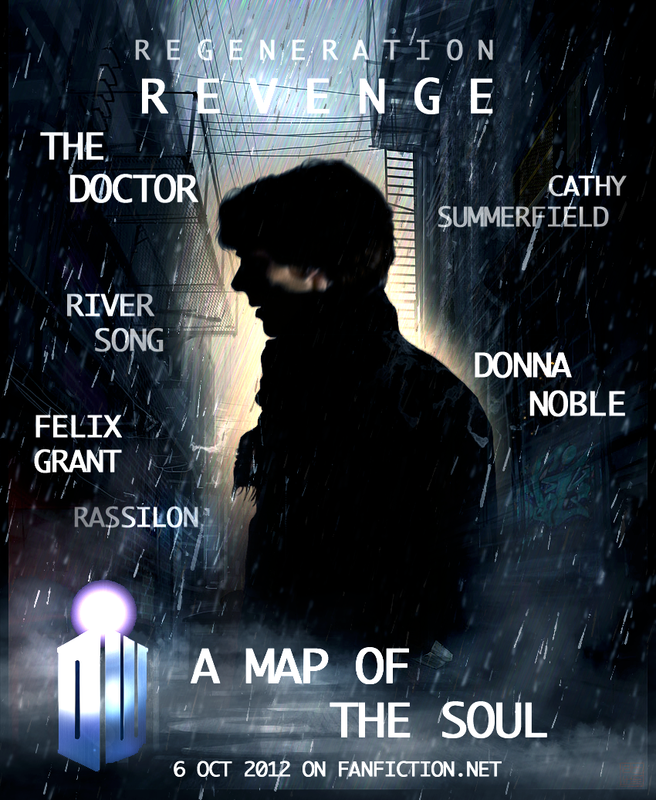 Hell-bent on revenge, he set out to find Rassilon. This story begins with a flashback to a scene from "Before Harry met Lucy". The Doctor encounters River Song who reveals to him the Ood's ominous prophesy of the future, warning him about the imminent resurrection of Rassilon…and the rise of the Nightmare Child. After parting with the 10th Doctor, the recently regenerated Master is hell-bent on taking his revenge on Rassilon. Will the Doctor and Donna be able to prevent the Master from full-filling a deadly prophesy? "Warning":Benedict Cumberbatch Master with some Sherlock mannerism.